Privacy is not so much about having something to hide, it’s about having something to protect. It’s an ill-informed statement at best; at worst it is dangerous and destructive (and not only to the person being so dismissive). Having nothing to hide implies that the only things worth keeping private are embarrassing, awkward or humiliating. Why would any individual want to hide a perfectly acceptable activity? 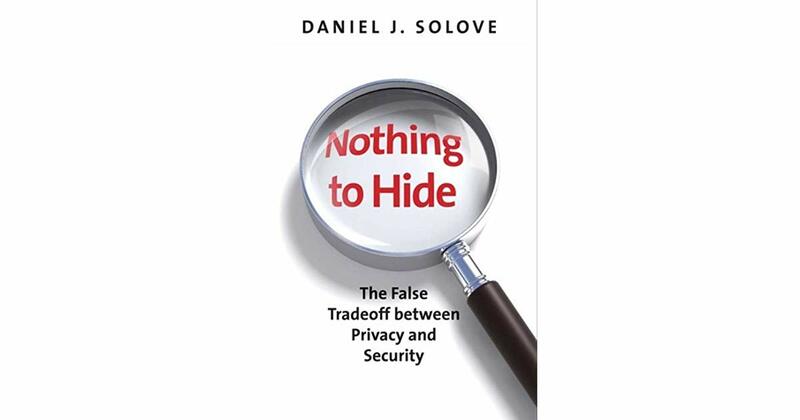 Daniel J. Solove argues that debates over privacy versus security are flawed, based on mistaken views about what those terms really mean. But the proper response – and now, a recent ruling by Canada’s Supreme Court – puts it another way: it’s not about having something to hide, it’s about having something of value worth protecting, worth controlling. In a way, that’s why we have passwords on our smartphones – we want to protect our device and the valuable stuff inside. It’s why we have a lock on the front door: it’s not that something untoward is happening in my living room, it’s that I don’t want to ‘lose’ anything from my vinyl collection. These made-up examples show that we do put a value on certain physical items and that we protect them in some way shape or form. It has been harder to grasp the reason to protect information (and again, that’s information without a perceived value). Why should I care about posting my cat photos? My weekend plans? My view of organized religion? But we’re learning very quickly about the value of information in the digital age: huge corporations are making millions of dollars by collecting, handling, sharing or analyzing data – our data! We may not even know it is happening, which is a clear sign of not having control. In many cases, we do not even profit from our data, which to some may be a greater worry than lack of control. Cash value aside, it is clear that our information is used by others to form opinions about us. If you like my cats, you’ll like me. If you think I am doing something really cool this weekend, you’ll probably think I am pretty cool, too! If you think my views about organized religions are, well, blasphemous, you may not like me as much. In these cases, privacy matters because being judged or categorized or liked or unliked based on a digital data trail that can easily be misconstrued or taken out of context, easily misjudged due to preexisting bias or even mostly ignored due to short attention spans is a real risk. In an era of fake news, burner accounts, trolls and anonymous postings, does anyone benefit from being characterized based on digital data they do not control? If you do not want your friends to misjudge you, if you do not want your government to misjudge you, it’s probably best to have greater control over the information that fuels those judgments. And make no mistake, that information is increasing available. Yes, it is one thing to willingly put data about our personal, professional or social lives out there (and we all need to be better informed and more aware of the consequences of such actions). But it is another thing altogether to have data about our lives put out there without our knowledge, permission or control. We are right to expect privacy and control over our information whether we are in our homes or, as it turns out, if we are out and about! In an interesting and impactful decision recently released by judges on Canada’s Supreme Court, we are right to expect some level of privacy when we are in public! Even in public areas where surveillance technology is in use (uhh, that’s a long long list), Canadians still have a right to a reasonable expectation of privacy, the Court determined. In a case known as R. vs. Jarvis, the defendant (a school teacher) was accused of secretly video recording female students. The accused argued that because the recordings were made in public, the victims had no cause to expect privacy. Not surprisingly, the Court disagreed. The victims lost control over important information – their image, and how or where it might be used. Not only were privacy considerations such as consent seemingly ignored by the alleged perpetrator, the Court said other important factors can impact expectations of privacy, including location and the nature of activity being observed or recorded. (The Court said that the part of a person’s body that is the focus of a recording can be a privacy factor: the prurient nature of the alleged crime in some ways warrants such distinction, but nowadays biometrics and facial recognition technology turns pretty much any part of the body into an important privacy asset worth protecting). The Court’s decision about privacy in public spaces was certainly impacted by today’s technology, but there’s an underlying principal that goes back centuries! Released many years ago, The Unwanted Gaze is an important book about one of the most pressing issues we face today. 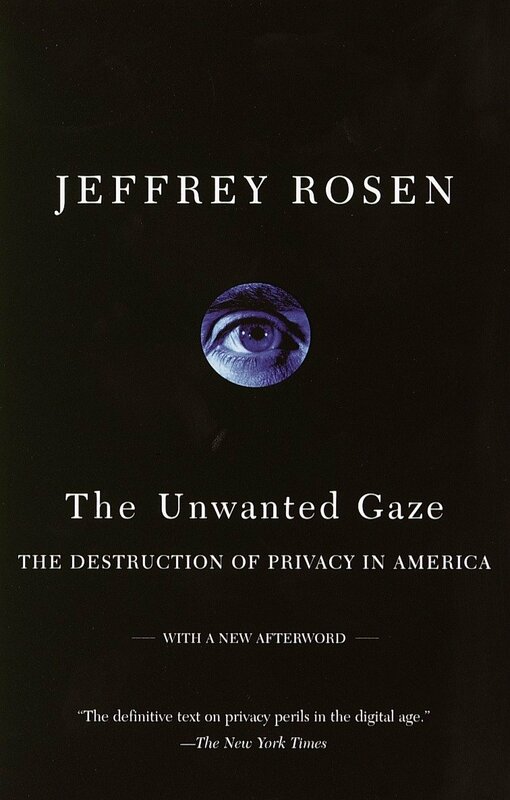 In his book The Unwanted Gaze, author Jeff Rosen writes about “the destruction of privacy in America” (it’s the book’s sub-title) by citing, among other things, ancient Hebrew texts and religious dictum set down in the Torah. It wasn’t digital surveillance back then, of course, but a principle known as hezek r’iyah that criticized the idea of “overlooking” into another person’s premises, thus potentially violating that person’s privacy by removing their control over their image. Privacy goes both ways, though: there’s even discussion of respecting privacy by speaking quietly, knowing that neighbours have no reasonable expectation that a loud voice won’t carry through thin walls.The average person should take care not to speak too loudly (s’tam b’nei adam), putting his or her own privacy at risk while violating or interfering with the privacy of others. So privacy is about having control over one’s own valuable property (data or image or LP), and it seems it is also about having respect for other people’s privacy. That’s a far cry from having something to hide.